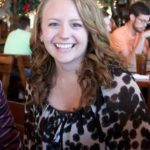 Rachel Foxwell is a writer and full-time marketer who is passionate about teaching others about money management. Rachel graduated college with $28,000 of student loans, which she is working furiously to pay off. To document her journey in finding financial freedom, Rachel created a blog to help other millennials with their finances and career. You can read more about her at her blog, www.thelattebudget.com.